Having a good reliable server can make your work easier and much more efficient. And what is even more important is your server security, because you do not want anyone to hack your server and put you confidential data in dangerous. Vanguard Solutions offer service to solve any server issue, we will make sure your server is up to date, secure, and ready to handle all your workload. Don’t want to swim cluelessly in phone calls? It is time to set up a new network system. We will set up an functional network system for your business so that you can communicate with everyone within the company and your important clients through emails on the internet. We will make sure everything set up right and your business runs smoothly and efficiently! As we do more work on the internet, there will be more risk regarding network security. Your network security is very important to your company since you will have confidential data in your company network. Vanguard Solutions offer service on finding and solving any security vulnerability, secure your network and data. Do you want to build a secure network? We will give you a free quote as soon as we get back to you! Need help with IT issues? We can help! Having a good networking and server is crucially important to a company. It can save you a lot of time and troubles from sorting important emails from spams. In addition, inadequate communication can also bring a lot of trouble to a company. There will cause many consequences if a business cannot run smoothly and efficiently. However, all these problems can be solved if you have a good networking and reliable server. Vanguard Solutions is here to help you set up a steady networking system, so you do not need to worry about any troubles and make your work easy and efficient. We provide remote service through Teamviewer, which you can stay in your own office while we do the setup, without interfering your work. Having trouble with the server, data sharing? Let us help! We understand how important it is to have a good server to keep the work going. However, if the serves have any problem, it can slow down everything. Especially when there’s a high traffic, your page can load extremely slow. Covina Vanguard Solution is here to help. we will provide on-site assistance until the all the problems are solved! Without a doubt, we are your best choice! Having issues with your company network? We will solve it for you! What should you do if you need help with setting up a new network? The answer is come to Covina Vanguard Solution! Setting up new Internet can be complicated, especially if you are a big company. However, you don’t need to worry, because we’ve got you covered. 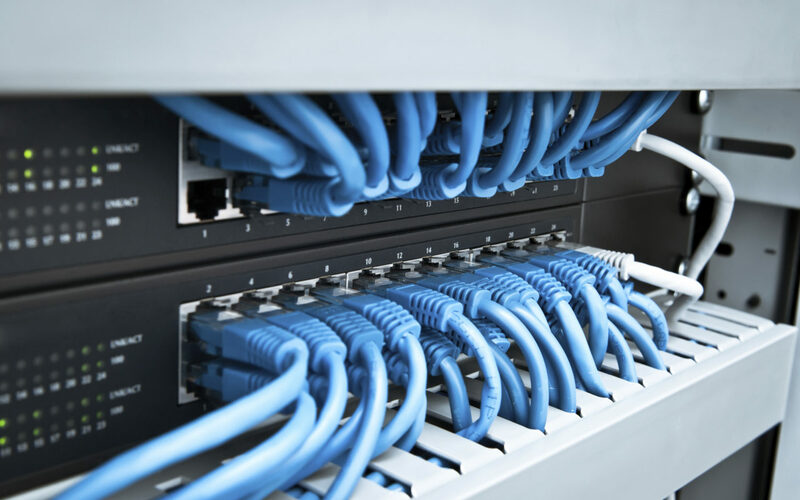 We will get your network set up and make sure it is fast and efficient! Need to set up a cloud service? You are at the right place! Nowadays, more companies start using cloud service, so that you do not need to worry about your database take up your computer storage. In addition, it is considered safer if you have good security in the cloud, and you do not need to worry about losing your data. Vanguard Solutions can help you setting up your cloud service and make sure it is secure before you upload all your data onto the cloud. With Vanguard, you will have a safe place for all of your important data. Copyright © 2017 Vanguard IT Solutions - Computer repair and information technology, All rights reserved. Vanguard Solutions offers a vast array of IT solutions and services to perfectly fit your business. We strive to offer the latest and most cost effective solutions to keep your business in perfect synchronization. Vanguard Information Technology Solutions, Inc shared a post. Only a tech will understand... do you? We all need a big cup of this in the morning. Don't let the hackers win! If you computer becomes infected with ransomware, don't panic and pay the ransom! Vanguard IT Solutions specializes in removing ransomware and can resolve the issues quickly by removing the virus from your system!